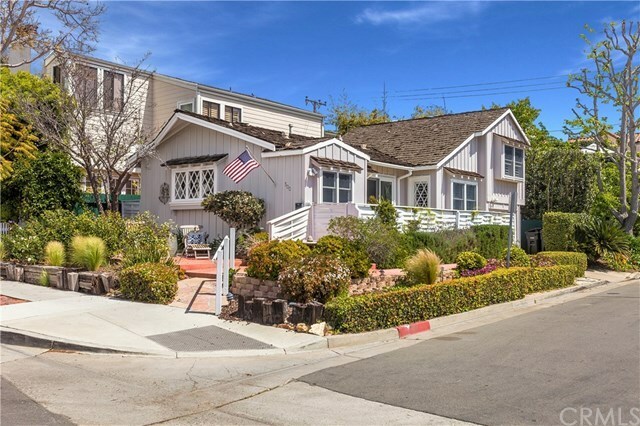 One of the dwindling number of single family cottages on the South side of Coast Highway, this corner, sunny location is ideal for walking to the world-famous beaches, restaurants and shops that Corona Del Mar is known for. 500 Acacia Avenue is a charming two bedroom, two bath home that could be used as a primary residence, a second home, or could be added on to or build a new home. Utilities are currently being buried underground in the Village which will only enhance this home and its location. The award winning Central Library and Civic Center are also within walking distance where outdoor concerts and activities are routinely held, as well as world-class shopping at Fashion Island.